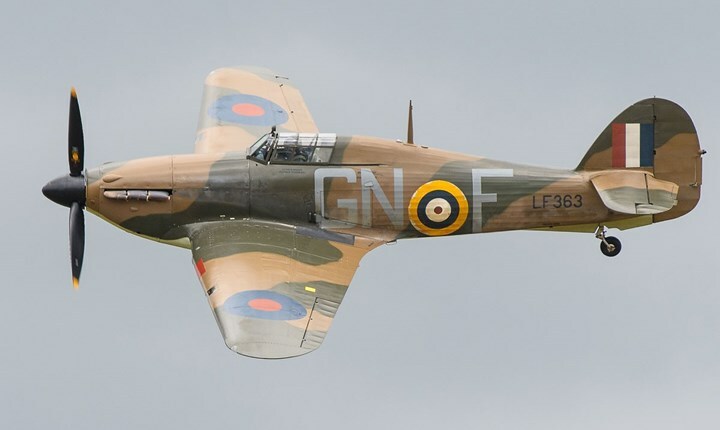 A pair of iconic World War II aircraft will take to the skies above this year's Donington Historic Festival, with flypasts taking place on both the Saturday (4 May) and Sunday (5 May), courtesy of the Battle of Britain Memorial Flight (BBMF) from the Royal Air Force. Saturday's flypast will come from a Hawker Hurricane, the 'workhorse' at the forefront of Britain's defence throughout the war. Although the faster Spitfire had the glamour, the Hurricane played a more defensive role, scoring 1,593 of the 2,739 RAF victories claimed in the Battle of Britain. 14,533 Hurricanes were made but huge numbers were lost in the war and today just 12 airworthy Hurricanes remain, two of which are operated by the BBMF. Sunday's aerial activity will be from a BBMF Douglas C-47 Dakota, a fantastic example of the military version of the Douglas DC-3 airliner, one of the most long-lived and successful transport aircraft ever made. From transporting vast numbers of paratroopers for D-Day to towing gliders across the Channel to liberate Europe this versatile aircraft played several vital roles in WW2. The spectacular flypasts are part of an ever-expanding programme of off-track highlights during the three-day festival, which already includes F1 displays and demonstrations, historic karting action, dream rides from the Sporting Bears, massive car club areas and themed shopping areas. Tickets for the Donington Historic Festival are available in advance and offer significant discounts over buying on the gate, starting at just £10 for the Friday qualifying day (May 3). Children aged under 13 are admitted free of charge and there are discounted tickets for teenagers aged 13-15. For more information or to book, click here.